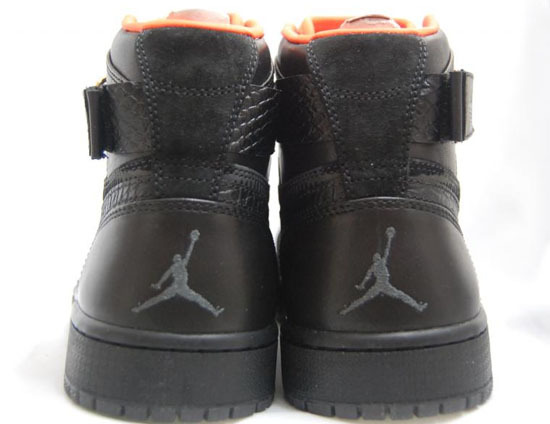 This Air Jordan 1 Retro High Strap comes in a black, anthracite and black colorway. 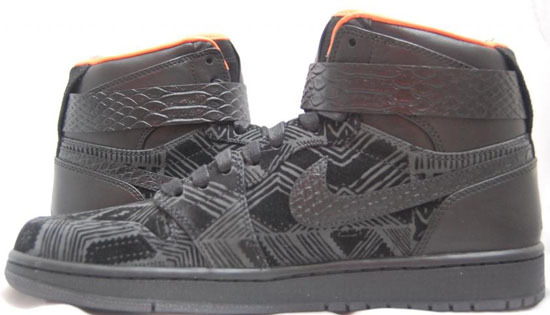 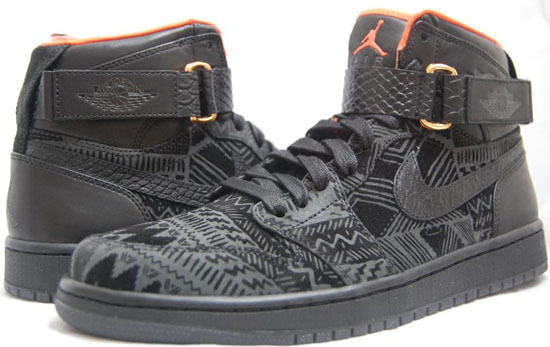 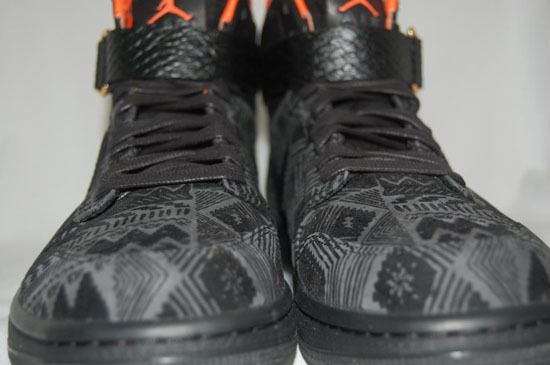 A collaborative effort between Just Don and Jordan Brand for Black History Month 2013. 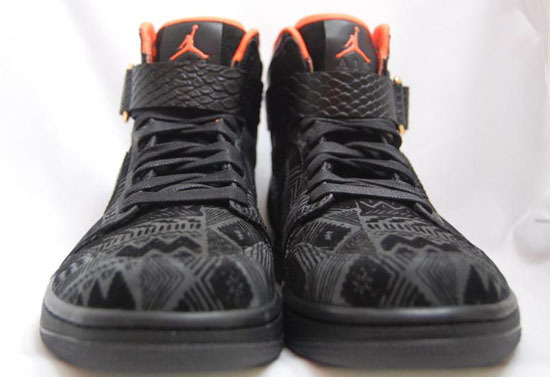 37 pairs were auctioned off exclusively on ebay in February with all the proceeds going to Big Brothers Big Sisters Of America. 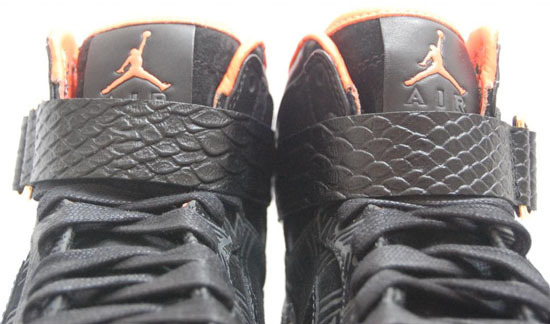 They feature a unique design throughout the upper along with leather straps with gold clasps and hits of orange found on the sockliner and Jumpman logo on the tongue. 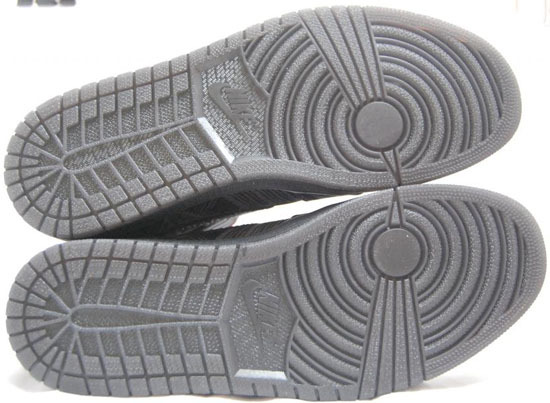 A very rare pair to come across that was never sold in stores or available to the public outside of the auctions. 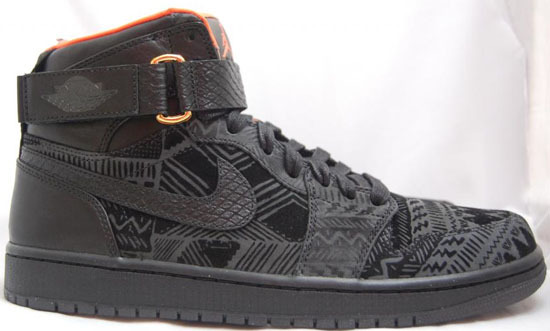 Enjoy the detailed images of the "Just Don" Air Jordan 1 Retro High Strap for Black History Month 2013 in black, anthracite an black below. If you fit a size 10.5 or would like to add these to your collection, you can click here to buy them on eBay.